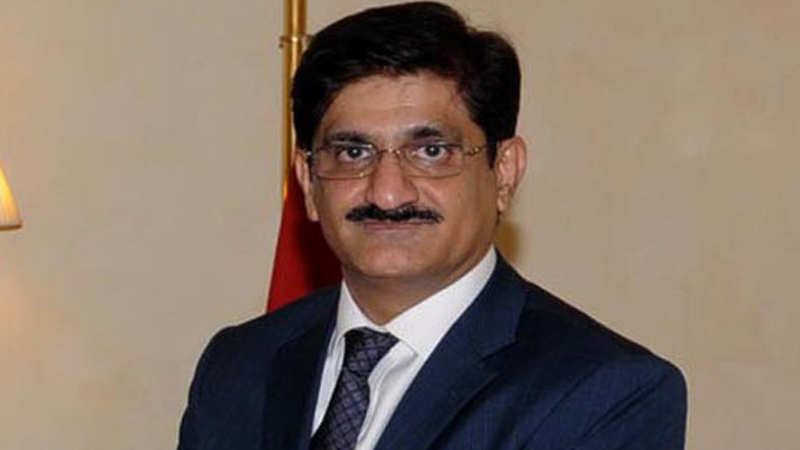 KARACHI: Sindh Chief Minister Syed Murad Ali Shah said on Wednesday that his government was presently focusing more on energy production, public-private partnership, regional development, and the reduction of inequity. He made the remarks while addressing the ‘Sindh Development Forum 2018’ to promote partnership for the development towards a thriving and prosperous Sindh. It was organised by the Sindh Planning and Development at a local hotel on Wednesday. The sectors that came under discussion include education, poverty reduction, agriculture and food security, health, public finance management, water, sanitation and municipal services, nutrition, energy and infrastructure, and the economic growth. He said that the last decade of PPP government at federal and provincial levels was an era of peace, progress and prosperity. “When we first took reigns of the government, we faced enormous challenges of law and order, rising inequity and poverty, and weakening federation,” he said and added that such was the level of challenges that individuals and institutions felt overawed and there was a general feeling of helplessness. CM Murad said that the law and order situation in past had fueled uncertainty. “The capital flight fueled poverty which led to violence and crime thus exacerbating poverty,” he said, adding that the key to breaking the vicious cycle was to overcome issues like terrorism, sectarian violence, and organised crime. The chief minister said that confidence of the business community and foreign investors had improved in the province. He also highlighted the improvement in the economic conditions and the keen interest of the Chinese to establish special economic zones within Sindh. “Yet another testimony is the jubilant final of PSL in which whole Pakistan was the winner,” he stressed. Talking about the challenges, Murad Ali Shah said one of the major concerns was the commodity price shock of the mid-2000s which pushed many people below the poverty line, especially the poor farmers. He added that the right response was to come up with a social safety net. “It is no secret that Benazir Income Support Program (BISP) is the flagship safety net in Pakistan, starting from a social safety net, BISP has now grown into a comprehensive social protection programme,” he claimed. He added that the BISP had a national socio-economic registry, transparent criteria for beneficiary identification and possibilities of an embedded graduation strategy. Talking about the Thar coal, Murad Shah said it was a forsaken project for which his government had plans to bring to life. He said that the energy sovereignty of Pakistan was based on Thar coal deposits. “The whole idea of energy-related CPEC investment would not have found firm ground if Thar coal fields were not developed,” he said and added that his government paved the way for investment in the energy production and transmission. He said that his government had been working hard on the resource availability from various sources, particularly to increase own resources, using the public-private partnership and improving projects bankability. “Sindh government has already taken pioneering role in the PPP mode, projects like road leading to the Thar field, Jhirk Mulla Katiar bridge on River Indus, Hyderabad-Mirpurkhas dual carriageway, PPHI, Sindh Education Foundation, and the grants for philanthropic health are all the symbol of expanding and deepening basis of PPP in Sindh,” he said. 19 country-wide heads of the different donor agencies participated in the forum. Sindh Development and Planning Minister Saeed Ghani welcomed the participants while P&D Chairman Mohammad Waseem spoke about the purpose of hosting the development forum. “It is an initiative towards a thriving and prosperous Sindh”, he said.